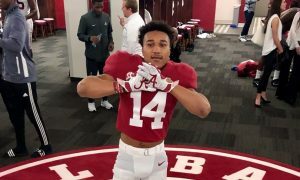 Four teams remain in the National Football League playoffs as we enter conference championship weekend, and all four have at least one former product of the University of Alabama. 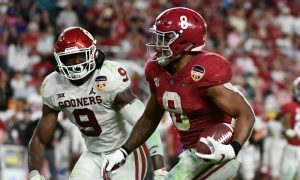 The Pro Football Writers Association released its All-NFL and All-Rookie Teams on Tuesday, and both lists sported quite a few Crimson Tide standouts. 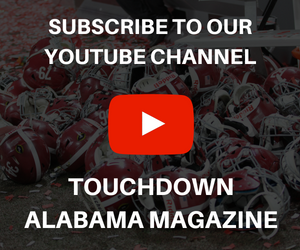 While the trio of Calvin Ridley, Da’Shawn Hand and Da’Ron Payne made the All-Rookie Team, Julio Jones, Eddie Jackson, Derrick Henry and C.J. 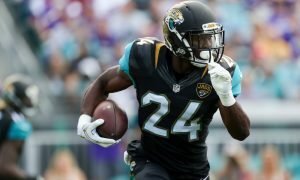 Mosley were named to the All-NFL Team for the efforts in 2018. Listed below is a breakdown of the honorees. The former All-American and five-star turned in a strong rookie campaign with the Atlanta Falcons. As the No. 26 overall pick of the 2018 NFL Draft, Ridley brought in 821 yards receiving with 10 touchdowns (tied for sixth in NFL) on 64 catches. 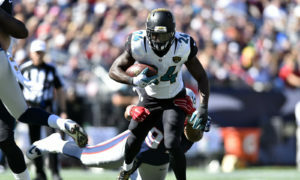 He averaged 12.8 yards per reception and turned in one 100-yard outing versus the New Orleans Saints on Sept. 23, 2018. Ridley had 146 yards and three scores on seven catches, despite a 43-37 loss. Despite being placed on injured reserve toward the end of the season, Hand produced good numbers on the defensive line for the Detroit Lions. The 6-foot-3, 297-pounder collected 22 tackles – including three sacks (third on team) and five tackles for loss (third on team). Hand would also chime in with two forced fumbles. Washington has enough defense to go around to potentially win a Super Bowl at some point, and everything starts with Payne. 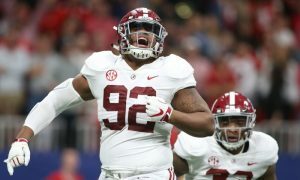 After handling business at Alabama and winning a national championship, the Birmingham (Ala.) native was selected 13th overall in last year’s draft. Payne had a monster year for the Redskins, amassing 56 total tackles, five sacks, seven tackles for loss, three pass breakups, one forced fumble and one fumble recovery. His production in tackles and tackles for loss both ranks among the highest for the team. 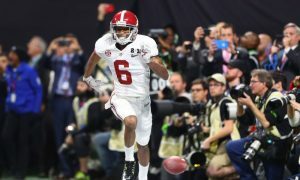 He has been everything the Atlanta Falcons could hope in a receiver and much more. In eight seasons, Julio Jones has tallied at 1,400 receiving yards in five years. He finished 2018 with 113 catches (tied for fourth in NFL) for 1,677 yards (first in NFL) and eight touchdowns, while averaging 14.8 yards per catch. The 6-foot-3, 220-pound specimen collected at 100 yards receiving through 10 games and was named second-team All-Pro for the NFL. An injury kept him from playing in the lone postseason game for the Chicago Bears; however, the franchise does not make it to that point without Eddie Jackson. The second-year safety is quickly becoming one of the biggest game changers in football with his ability to create turnovers and generate points. Jackson assisted the Bears to a 10-4 season and its first NFC North Divisional crown in eight years. He had 51 total tackles in 2018 and added three stops for loss, 15 pass breakups, six interceptions, two forced fumbles, one fumble recovery and three touchdowns. Jackson was taken in the fourth round of the 2017 draft. Soon, he will have the complete trust of the Tennessee Titans. 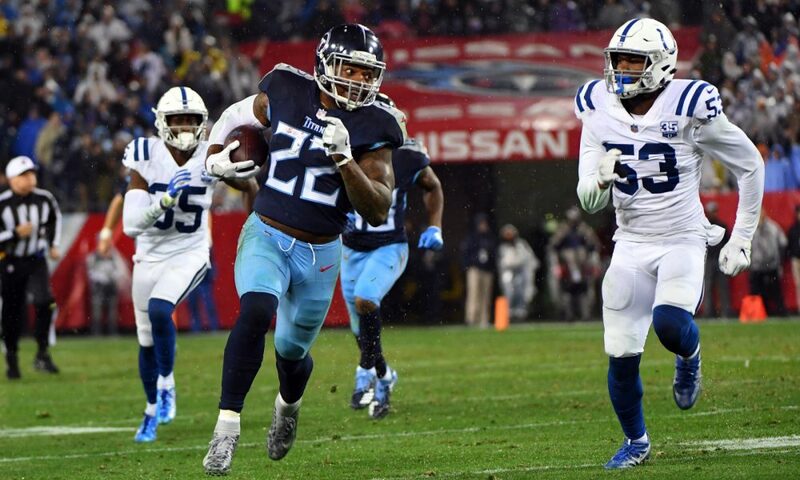 For now, the NFL saw how lethal Derrick Henry can be with the ball in his hands upon him being given opportunities to be dominant. 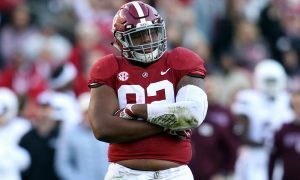 He was Alabama’s second Heisman winner, an All-American running back and a national champion, but he accomplished a bigger feat in 2018. The 6-foot-3, 247-pounder recorded his first 1,000-yard rushing season and first 1,000-yard season from scrimmage as a professional. Henry was among the league’s best in rushing yards (1,059) and touchdowns (12) on 215 carries. He tore it up in the month of December, ripping off 625 yards with nine scores – including a pair of 100-yard games and one 200-yard performance. C.J. Mosley got the Baltimore Ravens back to the playoffs for the first time since his rookie season in 2014. He led a defense that took much pressure of rookie quarterback, Lamar Jackson while totaling at least 100 tackles in four of his five years in the league. Mosley led the Ravens with 105 total tackles and chimed in with seven tackles for loss, five pass breakups and one interception. The former All-American, Butkus Award winner and two-time national champion eyes a Super Bowl title at some point in his career.